Our July One Small Change is probably the scariest one of the year: TV-free Tuesdays. In the way of Meatless Mondays, this change is meant to decrease consumption of energy, but it also serves another, possibly more important, purpose. Before I had kids, I had proposed to Craig that we get rid of our TV all together, or at least get rid of our cable service. I had full intentions of not letting our children watch TV. Ever. Craig did not think ditching the tube was a good (or sane) idea, and so the tv remained. The studies all show that TV is bad for kids, dropping IQ scores and upping body fat percentages. 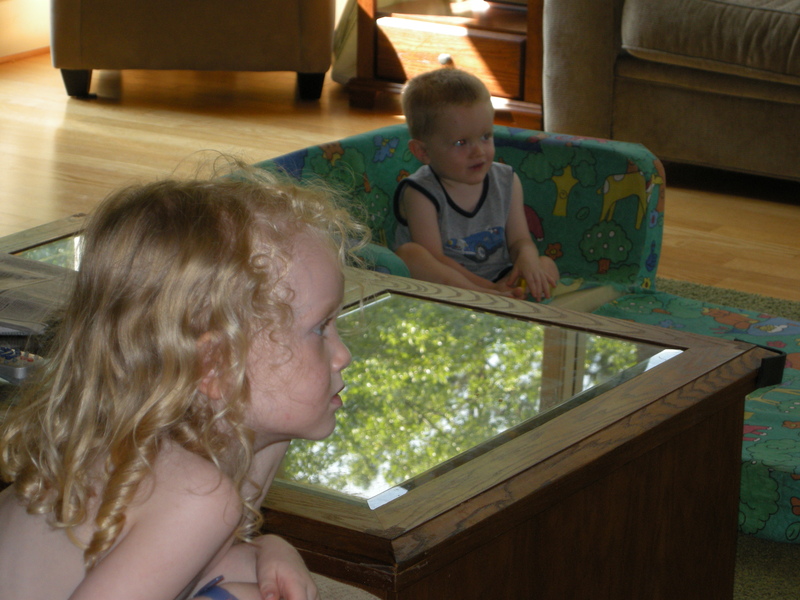 I find comfort in the advice my Mom gave me when Carina was a toddler: “If you get to the end of the day, and you have things you need to get done, it’s ok to turn on the TV.” The problem is that my kids are waking up with TV, twice a day. It’s the first thing they ask for in the morning, and also after nap. Callen will even say, “Let me watch a show to make me feel better” if he is sad or hurt. So, I’ve designated Tuesdays as our No TV days. To be quite honest, I don’t know if I will be able to keep this one going. I am cheating this month. I didn’t just choose Tuesday because it sounds nice with “TV”. We have a very busy schedule on Tuesdays this month, so if I make it through the hour and a half of at-home time in the morning with no TV, I’m pretty much safe. It will be a different story in August when all our extracurricular activities end and we’ll be left to entertain ourselves. Often the kids have no problems entertaining themselves, but when they are out of control or trashing the house, it is I who reaches for the remote. Oh, yes, and then there’s that energy savings thing I mentioned, too. Because when our TV is on, our Satellite box is on too, along with the amplifier, and speakers, and sometimes the DVD player too, and maybe even the v-smile video game. So, skipping one day of TV a week probably won’t save enough electricity to be noticeable on our bill, but that’s why it’s called One SMALL Change, right? Only this one doesn’t feel so small. Yes, indeed. 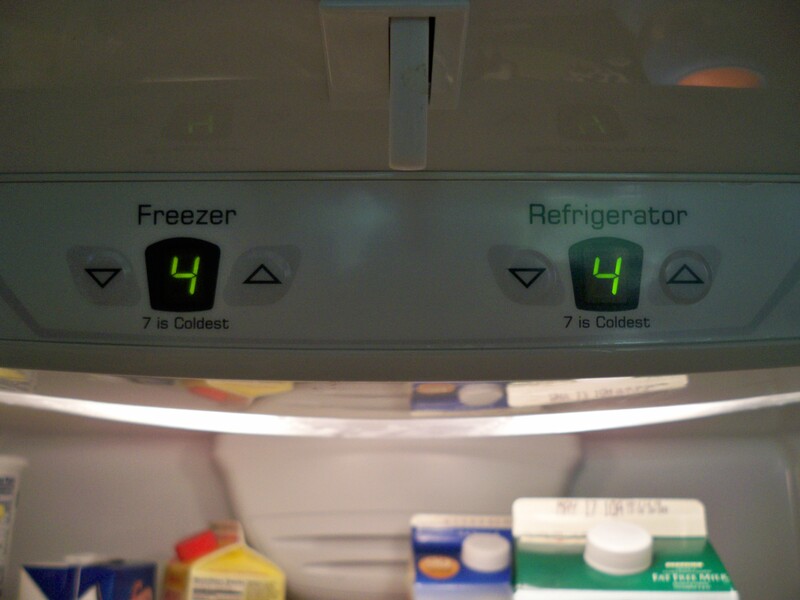 I turned the refrigerator and freezer one notch warmer. Nothing perished or thawed prematurely. . . even though Callen has figured out how to climb up into our fridge (the freezer is on the bottom) and get what he and Carina need while she holds the door open for him. BUT! That is not all, folks. No, that is not all. I ALSO turned the temperature on the water heater one notch colder. I am especially impressed that hubs did not notice this. Even if you can’t bear to turn your water heater down, don’t forget to set it on the “VACATION” setting when you head out on that summer road trip – if you’re gone for a week, it will save you at least the cost of half a tank of gas. 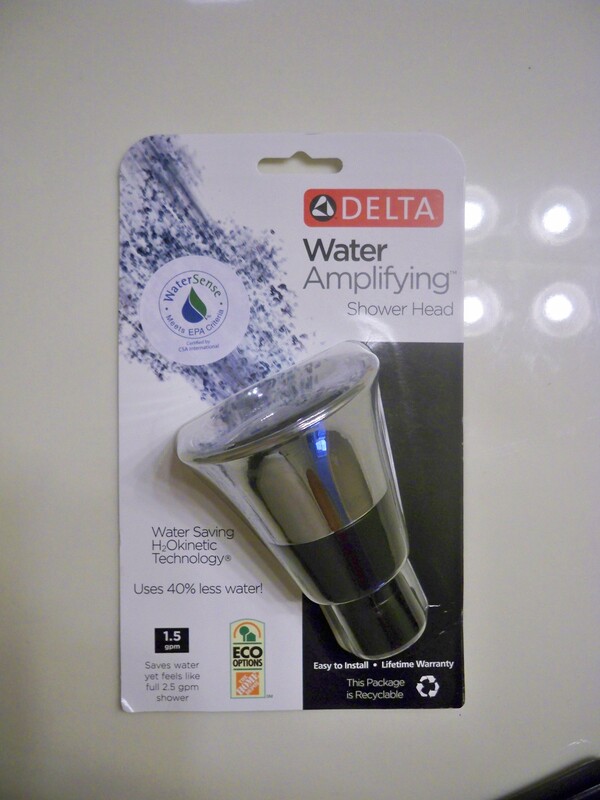 I love small changes like these because not only do they save resources, they save MONEY! My dad delivered our new (to us) compost bin, complete with some starter in it, and we’ve been adding to it ever since. Every once in a while I have to do a google search to see if a certain item can be composted or not, but we’re learning as we go. 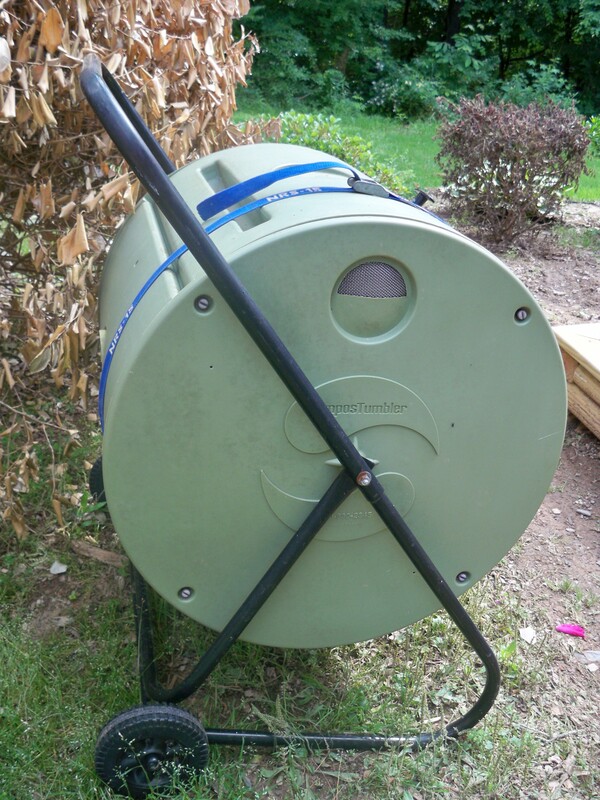 As you can see in the image above, the drum of our composter has a panel door that opens. We dump in our fruit and vegetable scraps, yard cuttings, coffee grinds and filters, and whatever other organic items we have. Then, we close the door and spin the drum around four or five times to mix it up. Pretty easy. . . .but not really. I have to admit that I’m a bit intimidated by this compost thing. How do I know I’m adding enough of the right stuff to it? How many banana peels is too many? Is my compost too wet? When is it ready? 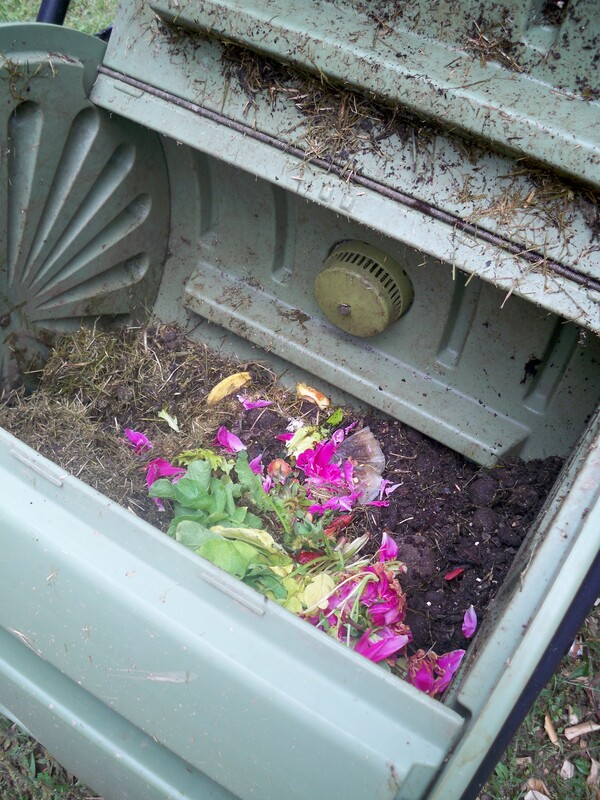 When is a good time to add the compost dirt to the garden? Like I said, I’m learning as I go. 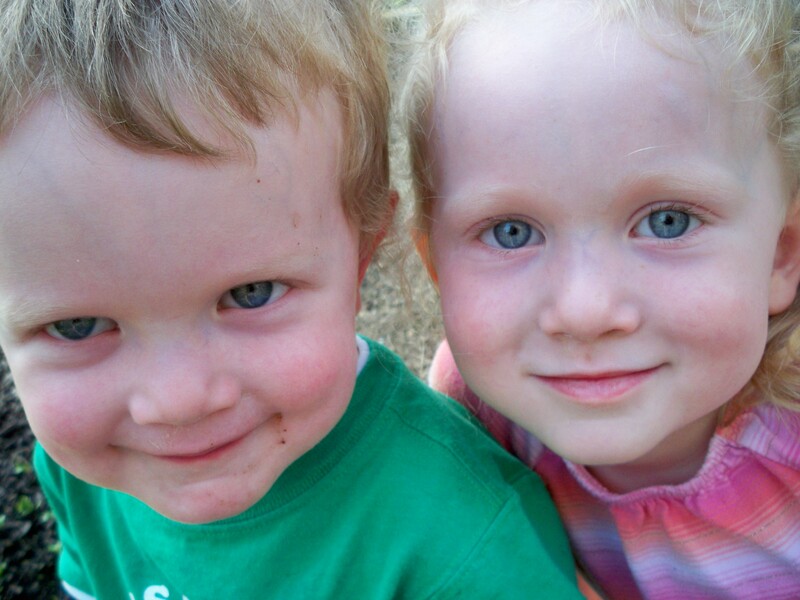 I’m glad to be learning, though, and thrilled that the kids are learning right along beside me. Our March One Small Change is rolling right along. I’m happy to report that everything we have planted so far (radishes, carrots, tomatoes, peppers, and sunflowers) is happily showing off little green leaves. 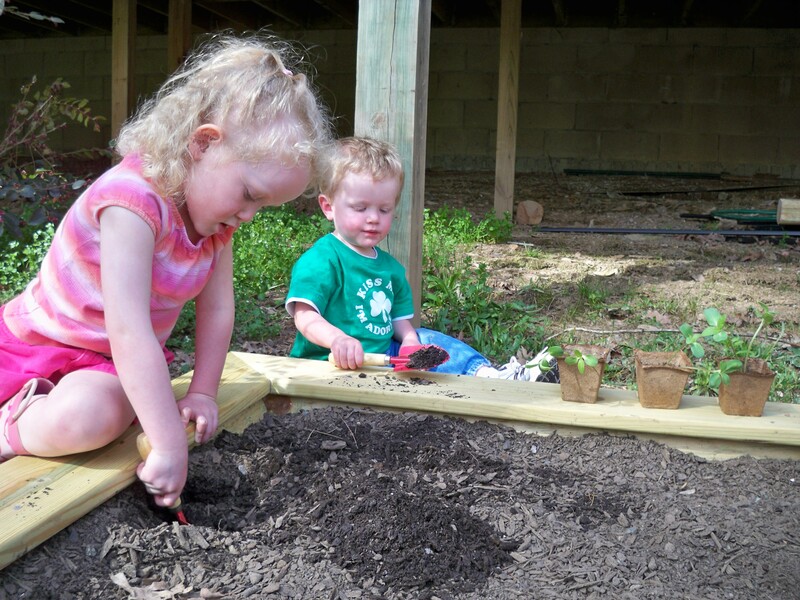 Today the kids and I planted cucumbers, squash, beans, and stevia. Carina loves eating the leaves off of the stevia, which is a natural sweetener. 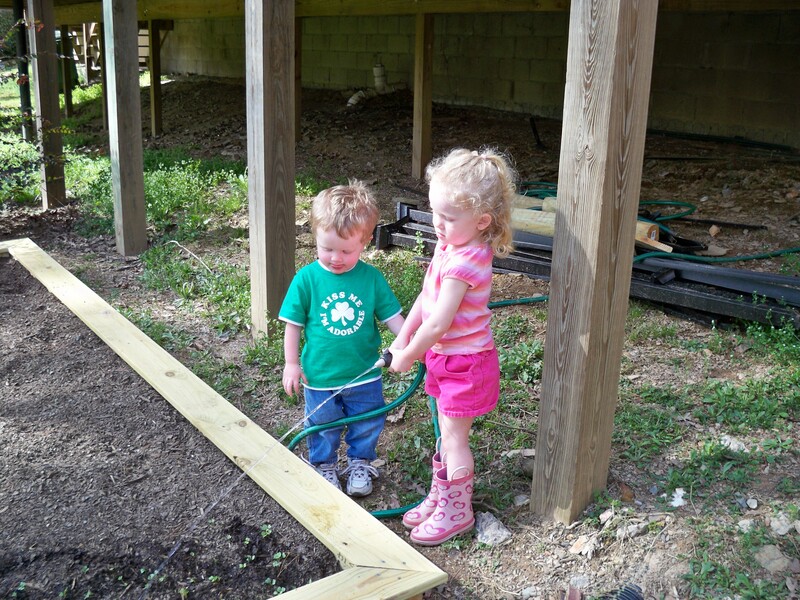 We’ve had a lot of fun in the garden, and learned a few things as well. I am excited that we have plenty of water to water our little garden from our rain barrel: it filled up the very day that Craig installed it thanks to a nice spring storm. Our April change will go right along with our new garden, and is something that I have been wanting to do for over a year now: COMPOSTING! My dad has a composter that he is going to let us use, and I’m thrilled to get started. Grow a forest. Protect if from axes that hack. My February One Small Change pledge was to use our cloth diapers more. Easy enough – consider it done! We’ve definitely been using those cloth diapers more, and thanks to the warmer weather, we’ve been using the clothes line to dry them too! We’ve also made progress on our January pledge to use more local foods – we got our first Basket A Month (BAM) CSA, which included bacon, turnip greens, cheese, honey, rice, sweet potatoes, milk, and butter – all grown and made locally! I also scored big when I met up with my blog buddy, The Park Wife, and she brought me 18 beautiful brown eggs fresh from her very own chickens! 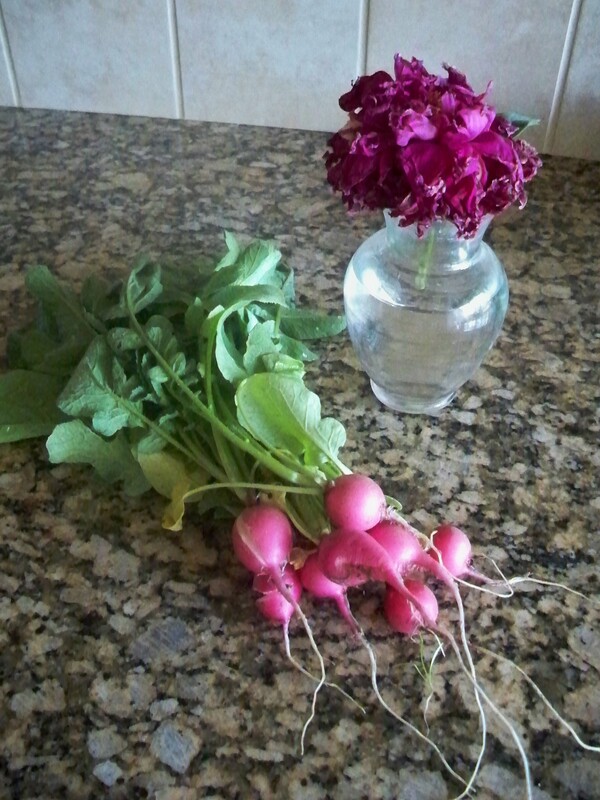 Our March One Small Change is not so small – we’re planting a garden! 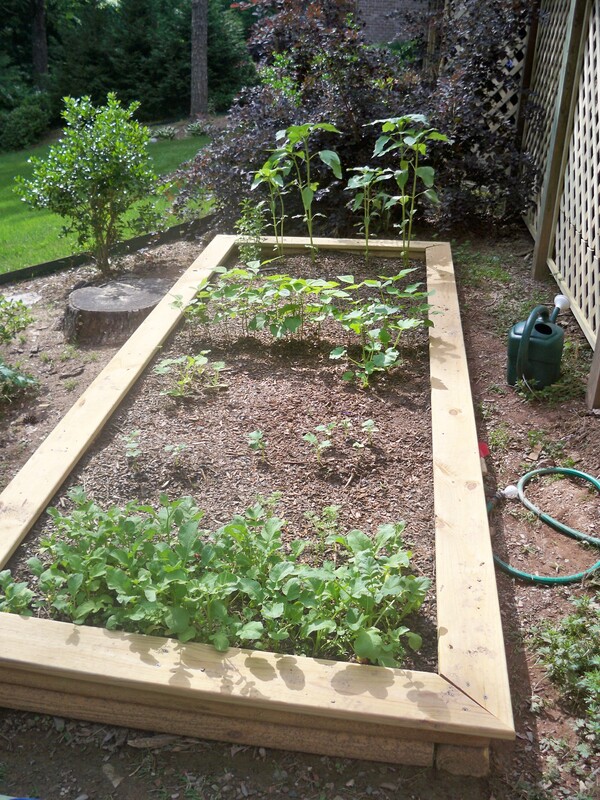 Hubby is going to build us a raised garden bed and we’ll make our first ever attempt at growing our own vegetables, and maybe even a few herbs. We have no idea what we’re doing, but that’s what google is for. I’m excited to try this out, and to watch the kids have fun in the dirt!